Summer has arrived in London! I thought it was about time a did a recipe post. Jake and I have been having lots of picnic's up on our roof top garden at the moment. 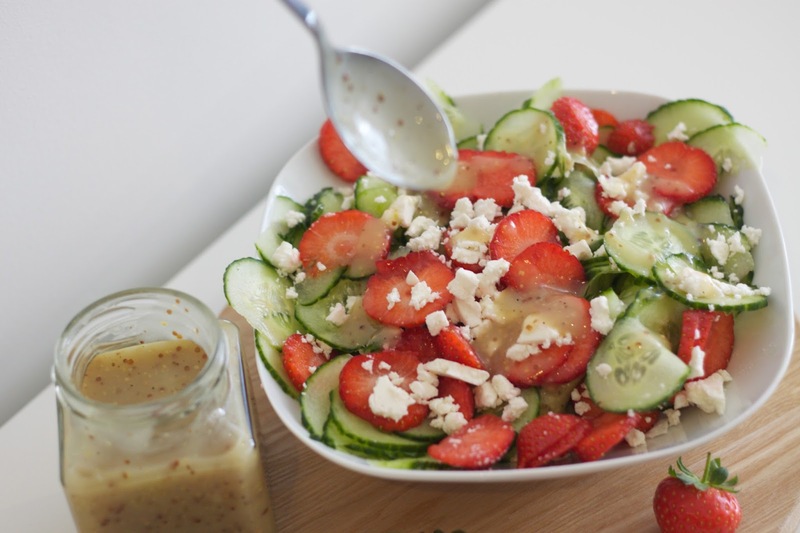 This is one of my favourite salads to make because it's so incredibly easy and it tastes so crisp and refreshing...perfect for Summer! 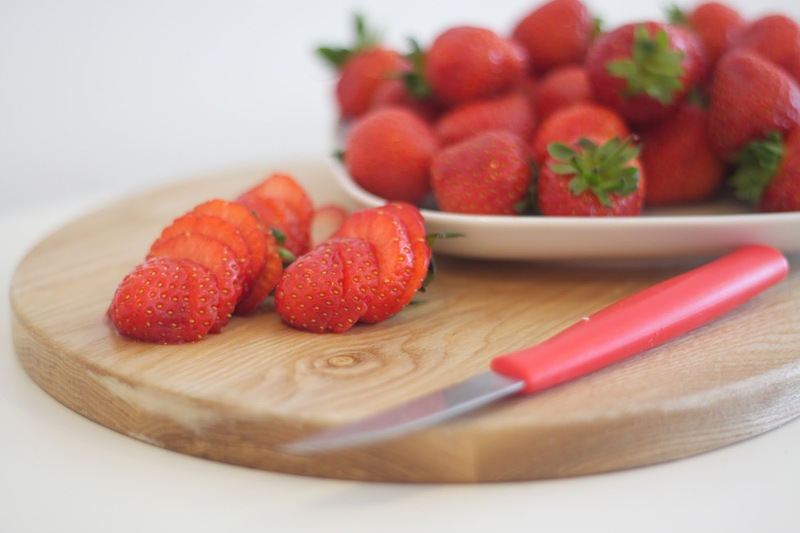 Strawberries just seem to taste better on this side of the world, its true the British strawberries are sweeter. I've been buying a punnet of strawberries weekly and they are normally all gone by the first day. 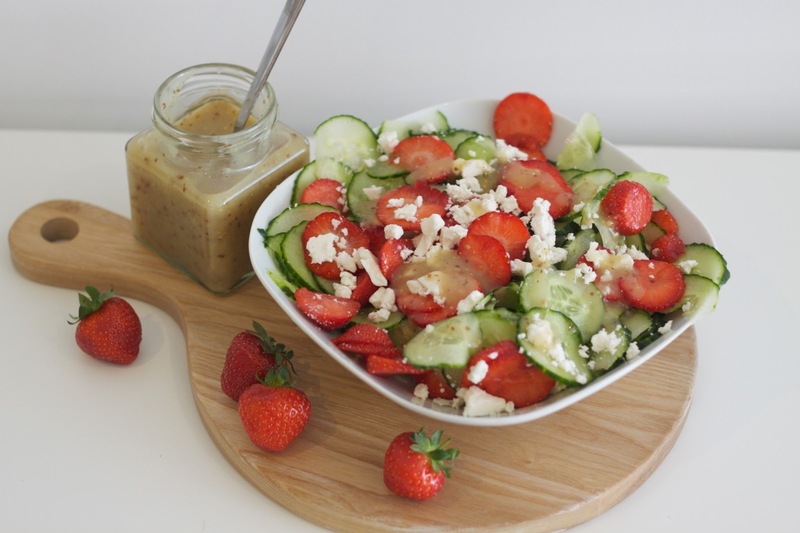 The best thing about this salad is all the flavours that tie in together the sweetness from the stawberries, the creamy saltyness from the feta, the crisp and light cucumber and of course the cherry on top, the honey mustard dressing! Delish! I hope you enjoyed this recipe, looking forward to doing some more soon. Can't wait for summer. I wanna jump into that bowl!